You know those jokes that you can’t help but laugh at because they’re so bad? Well, we have a few to share with you! 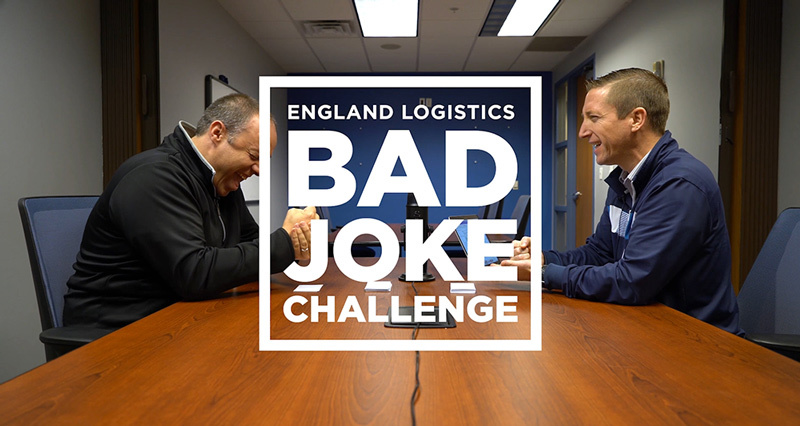 Members of the EL crew competed against each other to see who could make the other laugh first in the England Logistics Bad Joke Challenge. We’ll post all the videos to this page after they’re released on social media. Make sure to follow us on Facebook, LinkedIn, Instagram and Twitter so you don’t miss out. And keep checking back for more videos!